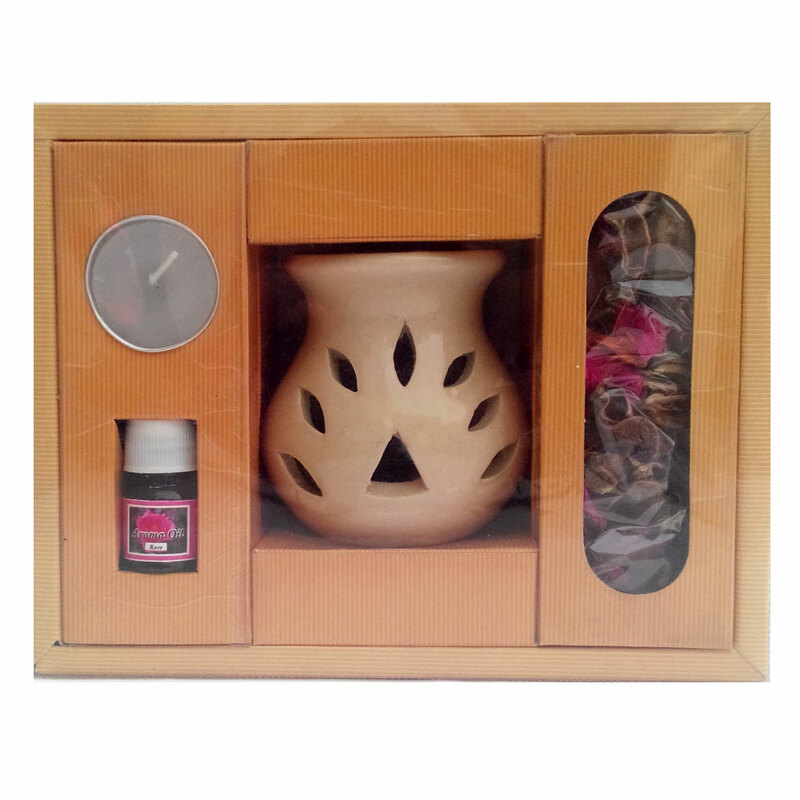 This aroma oil & burner hamper contains much more than the ubiquitous essential oil and burner, which helps it in providing a truly holistic experience Read More..for aromatherapy to its users. Apart from an exquisitely designed burner, the hamper also contains a wax t-lite candle for providing the best lighting option for ensuring a calming ambience. Moreover, this hamper contains floral petals for providing a more enriching experience for all its users. Therefore, this hamper is capable of taking care of all the requirements of its users during the use of aromatic oils for providing relaxation. Show Less..